It’s been a rough year for the Nissan Leaf. With sales sliding through the end of October, the battery electric vehicle will miss Nissan’s sales targets by a significant margin. The company hoped to sell 20,000 Leafs this year, but only 6,791 were sold as of October 31. 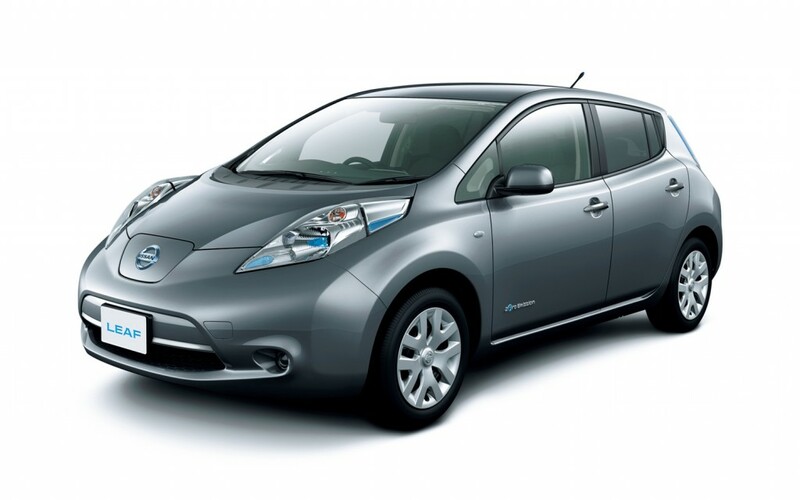 For 2013, Nissan is trying a new tactic that could help those flagging sales numbers: making the Leaf cheaper. Rumors of a cheaper basic trim level for the Leaf have been circulating for a few months, and Nissan has just unveiled such a car in Japan. Called the Leaf S, it costs $5,000 less than the Leaf X (the previous Japanese base model) and $9,609 less than the bells-and-whistles G.
Leaf s buyers will sacrifice a bit, though. The cheapest Leaf comes with rental car-grade steel wheels and cloth seats. It also misses out on tech options such as a navigation system that predicts how much charge the car will have at the end of a journey, and a seven-speaker Bose sound system. However, the Leaf s will not sacrifice anything under the hood. All 2013 trim levels come with the same 107 horsepower electric motor and lithium ion battery pack. A previous report stated that the Leaf S would achieve its low price with a smaller motor or battery pack. The entire 2013 Leaf range will benefit from a host of improvements designed to increase the EV’s efficiency. The whole car is 176 pounds lighter, thanks in part to a more compact electric motor that also uses 40 percent less dysprosium, a rare-earth element. Nissan also added 1.5 cubic feet of rear cargo space by making the charger smaller and moving it to the front of the car. Unfortunately, none of these changes apply to U.S.-spec Leafs, at least not yet. Nissan would not confirm any differences or similarities between the U.S. and Japanese models, only saying that details of the American version would be released closer to its on-sale date. Nissan builds the Leaf at its factory in Smyrna, Tennessee as well as Japan, so any changes would theoretically be easy to implement on either side of the Pacific. Knocking $5,000 off the base price of the Leaf would open up a wider gap between the Nissan and its main rival, the Chevy Volt. The 2012 Leaf starts at $35,200 (before a $7,500 federal tax credit), so it still might be hard to convince regular buyers to go for a base model with cloth seats and no tech when they could have a nicely equipped Altima for the same price. The real question, though is whether a cheaper Leaf could overcome the range anxiety that makes the Volt such a compelling option. We’ll find out when, and if, the Leaf s goes on sale in the U.S.